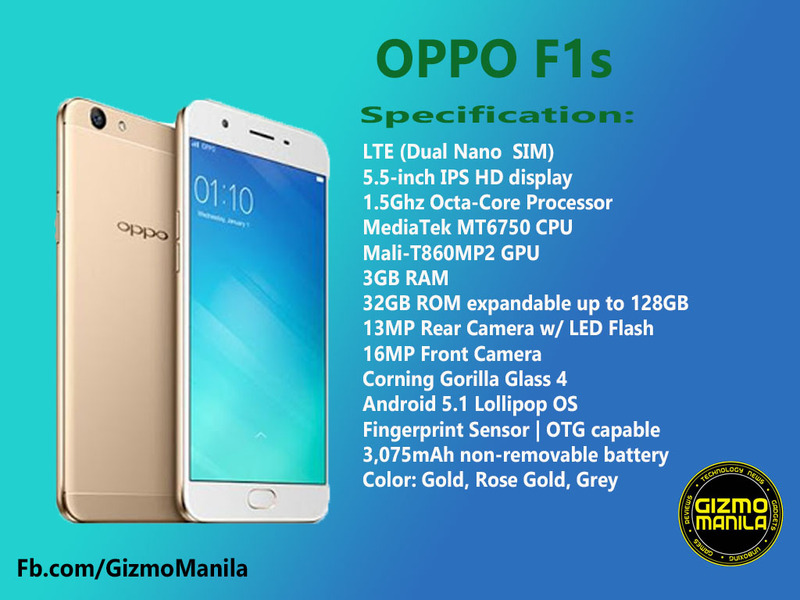 Home / android / f1s / google / oppo / smartphone / Oppo F1s Specs, Price and availability. 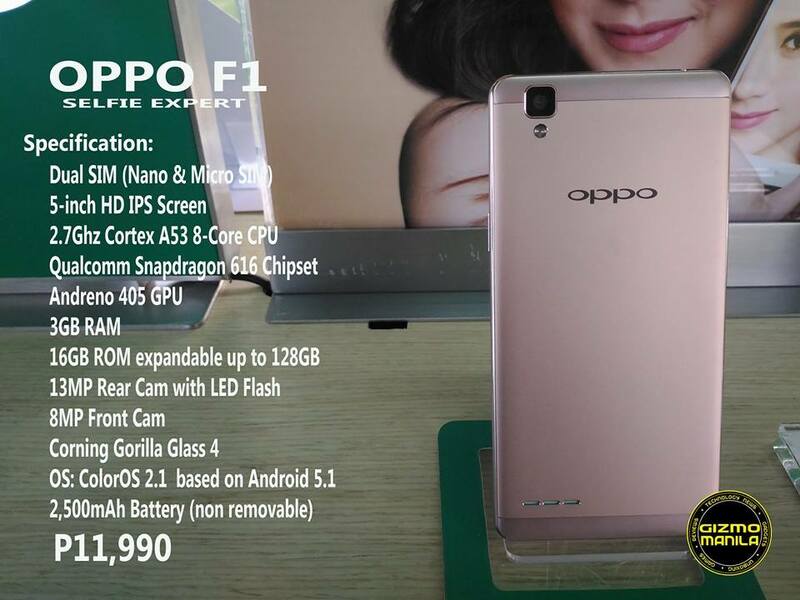 Oppo F1s Specs, Price and availability. After the big announcement of OPPO Philippines last July 28 on their Facebook Page. Oppo officially unveils the newest phone in the F Series lineup, which are smartphone dubbed as the #SelfieExpert. The new F1s continues along the line of the previous Oppo units, with the use of thin, nicely rounded bezels and prominent white colorway of its predecessors. It also features 16MP Front Camera and 13MP Rear Camera. Running on an MT6750 Octa-Core Processor w/ up to 3GB RAM and 32GB Internal Storage. You can pre-order the Oppo F1s starting August 12-17 in all Oppo Concept Store Kiosk and partner store nationwide at P12,990. The new Oppo F1s is also can avail on Home Credit at 6-Month installment Plan for as low as P2,165 at 0% down-payment, starting August 19. To learn more about Oppo F1s and other Oppo products, visit Fb.com/OppoPh or global.oppo.com. Follow us on our social Media Accounts Fb.com/GizmoManila, Twitter.com/GizmoManila and Instagram.com/Gizmo_Manila.